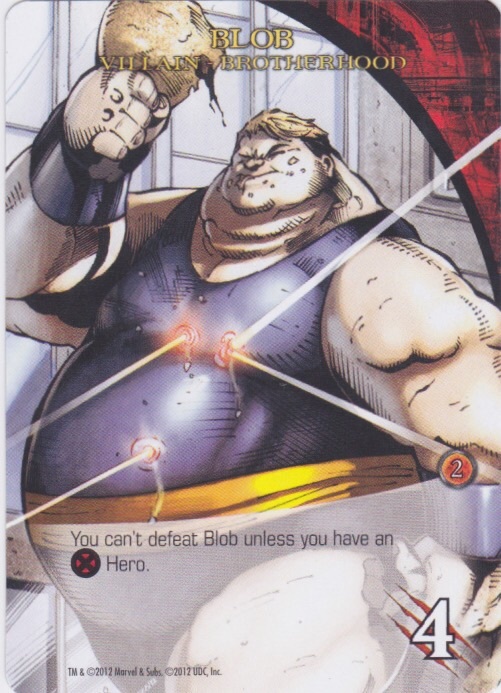 You can't defeat Blob unless you have an X-Men Hero. Ambush: Each player KOs two Heroes from their discard pile. 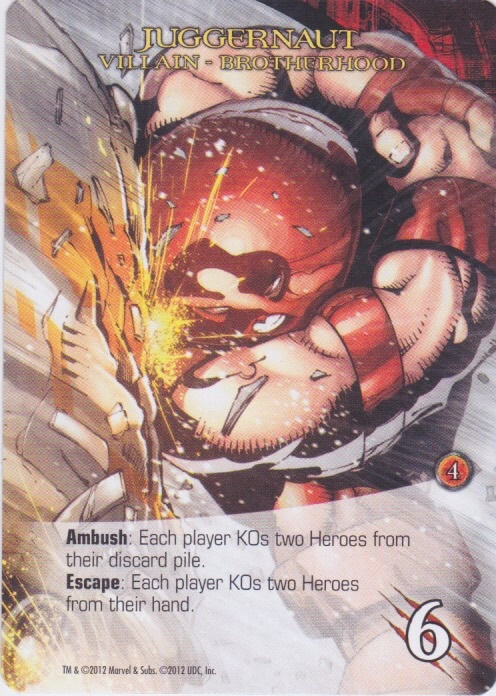 Escape: Each player KOs two Heroes from their hand. 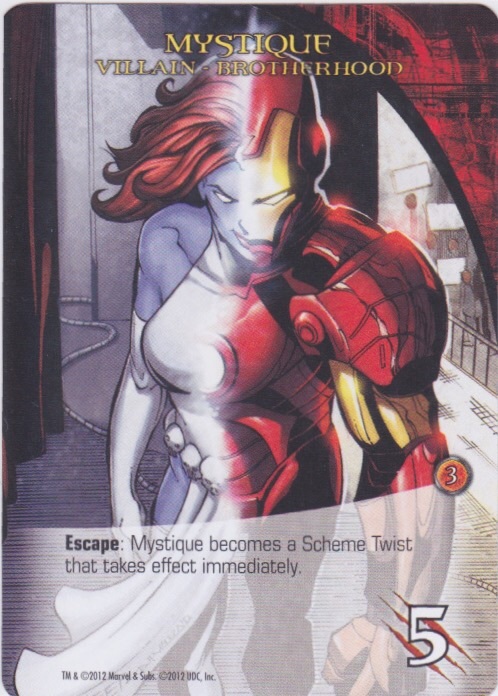 Escape: Mystique becomes a Scheme Twist that takes effect immediately. 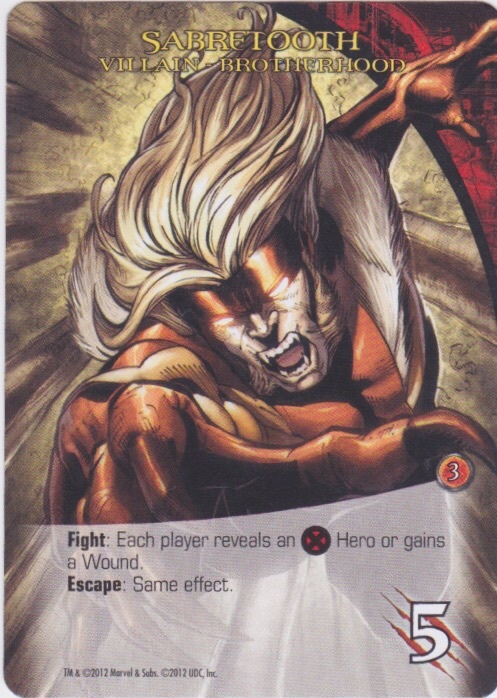 Fight: Each player reveals an X-Men Hero or gains a Wound.